﻿ Does Puerto Rico Now Offer The Best Offshore Bank Accounts? What is a Puerto offshore private bank account? Offshore banking is a term used to refer to the process where an individual or a company opens a bank account outside their home country to deposit their funds. A private bank account is a customized account owned by an individual who earns a considerable amount of income or own huge investment assets. These individuals are usually known as "High Net Worth Individuals" (HNWIs). A Puerto Rico offshore bank account is an account opened in Puerto Rico by individuals, businesses or High Net Worth Individuals who are not citizens of Puerto Rico nor has a residence there. HNWIs include business owners, politicians, executives, investors, and entrepreneurs. Offshore private banking is often inspired by the need for financial privacy and increased tax benefits. Why are banks setting up business in Puerto Rico? Puerto Rico offers a relatively healthy environment for banking businesses. As compared to other countries, Puerto Rico has a remarkable tax policy that has invariably attracted banking businesses in the country. 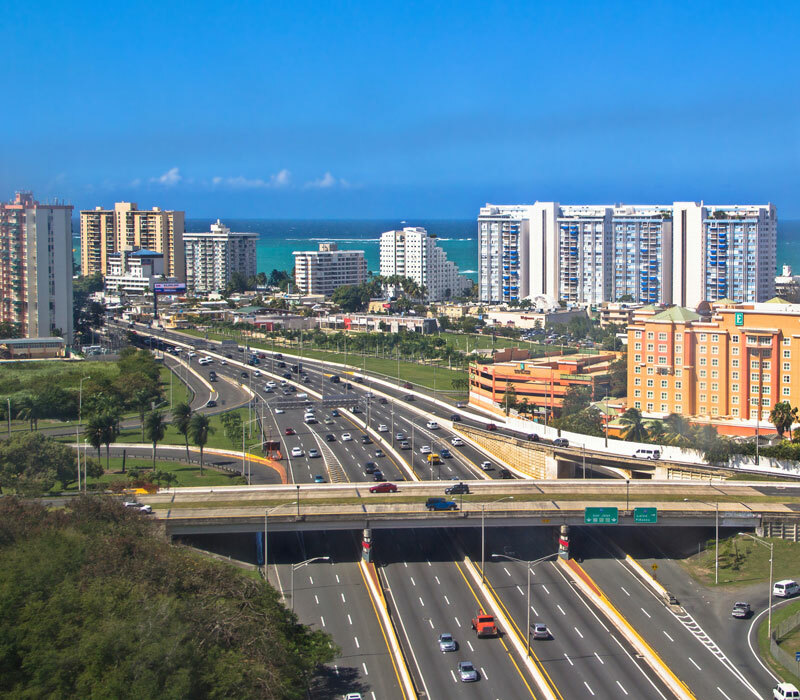 The introduction of Act 20 (Export Services Act), Act 22 (Individual Investors Act) and Act 273 (International Financial Regulatory Act) saw many businesses rushing to Puerto Rico to take advantage of alluring tax incentives. These policies offer way lower tax rates as compared to other nations or even the Mainland USA. For instance, a financial service provider like a bank will be subject to a mere 4% corporate tax rate. Puerto is strategically placed between North America and South America and has often been considered the perfect business link between the U.S. and Latin American markets. This makes it a favorable location for any business to thrive and witness huge profits. Being a territory of the United States, some of the U.S. sophisticated infrastructures has rubbed off on Puerto Rico. Hospitals, highways, schools and public services all make Puerto Rico the perfect Caribbean location for financial business. What are the benefits of a Puerto Rico offshore private bank account? Although most people open offshore private bank accounts in Puerto Rico because of the tantalizing tax policies, there are other benefits that come with this undertaking. 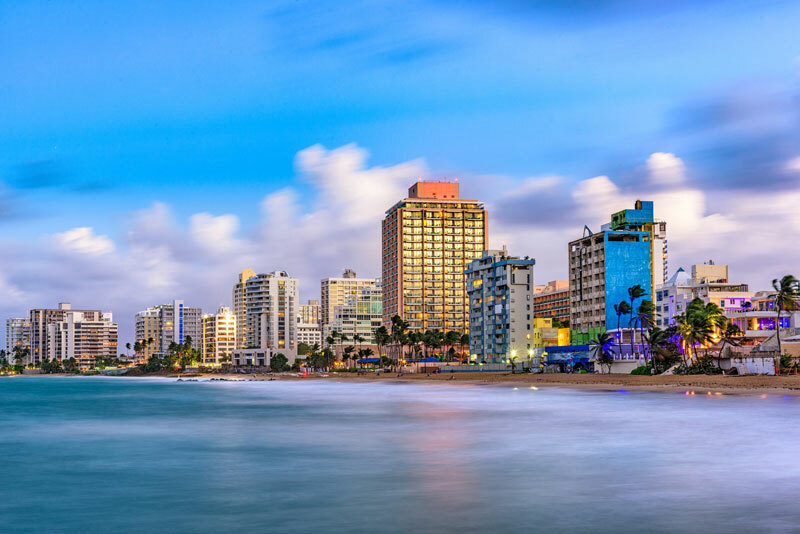 For one, Puerto Rico is exempted from the Automatic Exchange of Information (AEoI) which means Puerto Rican banks are not subjected to a Common Reporting Standard (CRS), a standard designed to cut down tax evasion worldwide. This is achieved by ensuring that banks share essential information in the hope that those who evade tax obligations are put under strict financial scrutiny. You enjoy utmost financial confidentiality - Your funds will not be subjected to scrutiny, especially for tax purposes. Amazing online banking - You can open a bank account remotely and do other related transactions online. Compliance with AEoL/CRS is not required – Puerto Rico banks are not required to share clients’ information, which makes them ideal for financial privacy. There is not a required minimum balance that your account is supposed to have. You only need a minimum of USD/EUR 500 for deposit in most cases. You can open a bank account remotely - This means that you don't have to be physically present to open a bank account. Enjoy the flexible use of Visa or Mastercard. Supported gold and silver bank accounts. Access to a variety of investment opportunities. Access to medical services in Puerto Rico. How do you get a Puerto Rico offshore private bank account? Proof of identity- If you don't physically avail yourself at the bank to open the account, you will need to provide a certified passport. Proof of residency- You have to prove that you are a legal resident of a country other than Puerto Rico. Please note that some banks may require additional documents. After meeting all the KYC requirements, you will need to make your initial deposit into the bank. Depending on your bank of choice policies, you may withdraw the deposit immediately or leave it as the account minimum. Certificate of good standing - You should not be associated with any financial crimes like money laundering. M&AA- These include all your incorporation documents. Please contact us for more information and for assistance with account application. Does a Puerto Rico offshore private bank account offer confidentiality? Although it is somehow tricky to guarantee the absolute anonymity of clients, private banks in Puerto Rico are known for jealously guarding their clients' private information. Strict rules and regulations have been put in place to ensure that transaction records and identity of clients are kept protected from probing of any kind. There are some instances in which a private offshore bank might be obliged to divulge sensitive financial information regarding a client. The banks have a mandatory legal obligation to report suspected financial crimes. This includes reporting bank accounts suspected for funding terrorist activities, money laundering or money from an illicit drug business. However, if you are a genuine business owner and have no serious criminal accusations, you can rest assured that your confidentiality is well taken care of. One of the factors that make Puerto Rico an ideal choice for people seeking to open a confidential offshore private bank account is its exemption from AEoI/CRS compliance. This means that your identity and financial information will not be shared with other banks in different jurisdictions. Even with a government request, these private banks will be extremely reluctant to reveal any depositor information and will only do so after the requesting government satisfies a set of extreme tests. What tax incentives do you get with a Puerto Rico offshore private bank account? Puerto Rico offers some of the most alluring tax incentives provided in Act 20 and Act 22 of their constitution. If you are looking for an offshore bank that will have you paying as low as 4% in tax, or a place to get the best returns on investment, look no farther than Puerto Rico. a) Act 20 -This law is mainly designed to encourage the export of services. This act has made it possible for companies to enjoy powerful tax incentives at a fixed rate of 4%. The law also provides for lenient requirements that hugely promote the export of services on the island. Note that the Act 20 tax incentive is valid for up to 20 years. b) Act 22 -This act is intended to attract individual investors to Puerto Rico. Once the investor is a bona fide resident of Puerto, their passive income will be totally exempted from any taxation. Capital gains and earnings are also free from taxation. c) Act 73 - This act, also referred to as the Puerto Rico Economic Incentive for Development Act was inspired by the need to create a favorable environment for the growth of local industries, attract foreign investors and promote Puerto Rico's socio-economic growth. d) Act 273 - This was created to promote tax exemption laws and regulate the operation of international financial firms that are authorized to operate in Puerto Rico. Who can benefit from opening an offshore private bank account in Puerto Rico? Apart from individuals, private companies and corporations that wish to keep their finances private may also open offshore bank accounts. What products and services do Puerto Rico offshore private banks offer? You get access to banking services and products such as multi-currency bank accounts and bank cards. Foreign traders can get access to profitable opportunities with an offshore private bank account. You can enjoy such trading services as Forex trading, bonds, Equities, CFDs among others. You may also get access to digital trading platforms. If you are an investor, an offshore private bank account in Puerto Rico can be of benefit to you and help flourish your business. You get access to mutual funds, investing in precious metals and managed accounts. Debit cards, Credit cards, Automated Teller Machines (ATMs), Internet banking, Electronic Funds, Transfer (EFT), Mobile banking, E-Cheques, Telebanking. What is the minimum deposit required to open a Puerto Rico offshore private bank account? The average minimum deposit required to open a Puerto Rico private bank account is USD/EUR 500. Some banks may charge more thank this. Some banks may allow you to withdraw this initial deposit immediately or leave it as your minimum balance. However, most of the Puerto Rico offshore banks do not need you to have a minimum balance, so you can withdraw the last coin any time you wish. You can also access various investing products with a minimum deposit amount. For example, you are allowed to open a gold or silver account for a minimum deposit of USD/EUR 500 in most cases. If you have substantially huge assets, you can take advantage of products like the Separately Managed Account (SMA), which requires a minimum investment of USD 100, 000. An SMA gives you the opportunity to invest globally with the aid of expert financial advisors. Do Puerto Rico offshore private banks offer online banking services? Opening an offshore bank account does not necessitate that you be physically present at the bank, so this means you can comfortably do it online. Online banking services are very safe to conduct. All you need is to be extra careful when entering your details during a transaction and make sure you do not share vital information like passwords with people you can't trust. Most of these banks take strict measures to ensure that your online account is well protected. Choose strong passwords that cannot be easily guessed and misused by ill-meaning individuals. Our team can help you with your Puerto Rico offshore private bank account requirements. Contact us now and we will help you with the process.